Russell’s muse Lawrence, deserves the accolades coming her way. She demonstrates the trials and tribulations of mundane life with utmost honesty. She lives her character. 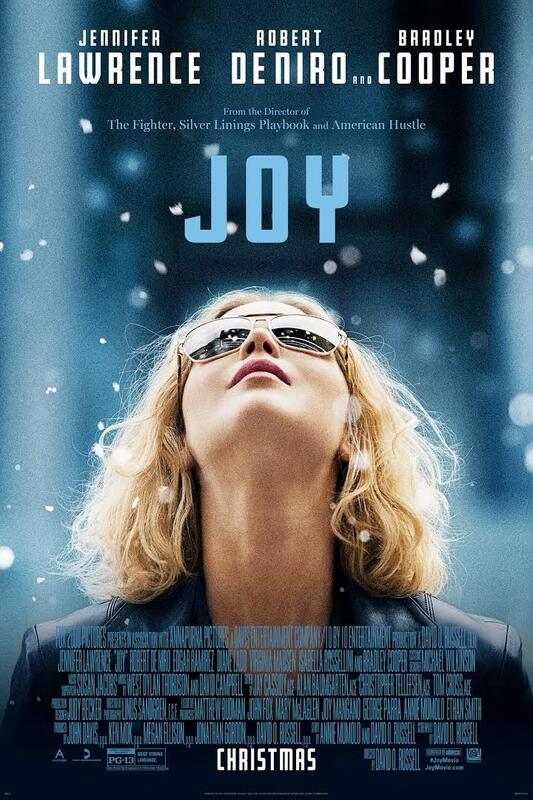 She’s real, vulnerable and deeply moving.Heartbreaking, uplifting, liberating…Joy makes you instill faith in your abilities once again. It has that ‘The Pursuit of Happyness’ (2006) feel to it. Like some of the great screen goddesses of old – for some reason, Lauren Bacall seems like the best point of comparison – she seems at once impossibly magnetic and completely down to earth, regal and democratic, ordinary and perfect.The movie struggles to keep up with her. Perfection does not lie within the scope of Russell’s chaotic methods, and Joy can wear you out even as it tries to lift you up. The pursuit of happiness is a lot of work.